Once upon a time there was a Princess. Like every other princess, most of her life she was dreaming about her Prince. When she grew up and it was time for her to settle down, fate smiled at her and she finally found her Prince! All dreams come true, right? There was only one little thing. The Prince was turned into a frog by an evil witch when he was a small boy. But that didn’t stop our Princess because from fairy tales she knew that she just needs to love the frog and kiss him and he will turn back into a Wonderful prince again. And so they married. And the Princess set herself to the task of turning her frog into a Prince. She told the frog that she knew who he really was, and that he was bewitched, and that she was looking forward to him becoming a Prince and all the wonderful things they could have and be together. And then she loved him, and she kissed him, and she waited for him to become a Prince. But the evil witch was really evil and she placed a few conditions on the frog which Princess didn’t know about. Her first condition was that frog had to WANT to become a prince. And there was another trick there: becoming a Prince was painful! Frog had to grow out of his skin and feel this skin split apart and fall off; and in the process he would feel every single grain of sand, speck of dust against his raw flesh. So, deep inside the frog was terrified of pain and didn’t really want to become a Prince. Plus, he wasn’t even sure he was one. Just because Princess was telling him so didn’t mean it was true. After all, most of his life he has heard that he was just a frog and nothing else. And who would want to take a risk of going through the pain if there were no reward and no guarantee? So, the frog grew accustomed to being a frog and he felt comfortable in his old skin. After all, Princess loved him anyway and they were married. Meanwhile Princess created a nice environment for him, it was very warm, comfortable and secure. And it contributed to frog’s reluctance to grow into Prince. Years have passed. While Princess still loved her frog, she was gradually becoming more and more sad and disappointed. She saw the Prince in her dreams and knew how beautiful and wonderful he was. Her longing for him grew deeper and deeper with time. 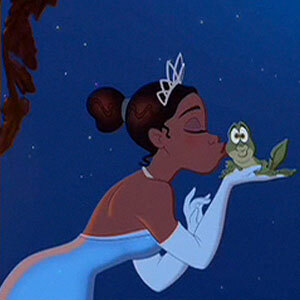 She grew tired of kissing old frog; she wanted to kiss her Prince! Sometimes her longing and sadness would turn into anger and she would blame the frog for her pain. To no avail. It seemed that the frog has clammed down and didn’t want to hear her plea. She did everything she knew how, she loved him and kissed him, she talked, she explained, she begged, she cried, she threatened, she yelled, she fought, she was trying to get used to the frog and accept it. Nothing worked. Her longing was just too strong and the frog’s resistance was too great. And so, here is our Princess, shedding her tears and asking herself: can she go on? Can she continue? What can she do to motivate her frog to grow into Prince he really is?